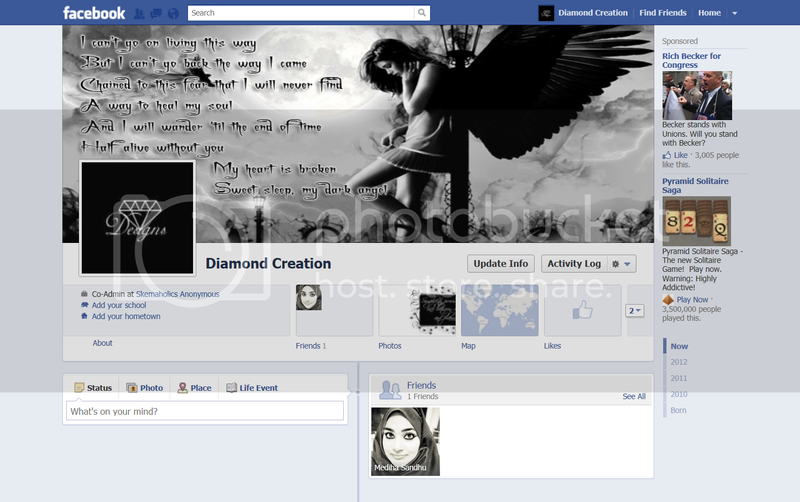 This entry was posted in Dark fb, Facebook Covers, Girly fb, Goth fb on May 28, 2012 by Diamond. This image is best used for Facebook Covers and is for personal use on your Facebook page only. ONLY Skemaholics Anonymous has permission to host my creations. If any of the tubes etc. I have used are yours please private message me so I can give full credit if I haven't already. This entry was posted in Facebook Covers, Girly fb, Goth fb on April 12, 2012 by Moppy. This image is best used for Facebook Covers. ONLY Skemaholics Anonymous has permission to host my creations. Tubes used in this cover are by Karin Coma. This entry was posted in Facebook Covers, Goth fb, Miscellaneous fb on January 23, 2012 by Moppy. This image is best used for Facebook Covers. ONLY Skemaholics Anonymous has permission to host my creations. If any of the tubes etc. I have used are yours please private message me so I can give full credit if I haven't already. This entry was posted in Facebook Covers, Goth fb on December 30, 2011 by Moppy.